This design is something I’ve been wanting to bring to life for several months. Gene is always encouraging me to create items for our show case so that people can see more examples of our custom designs in person. 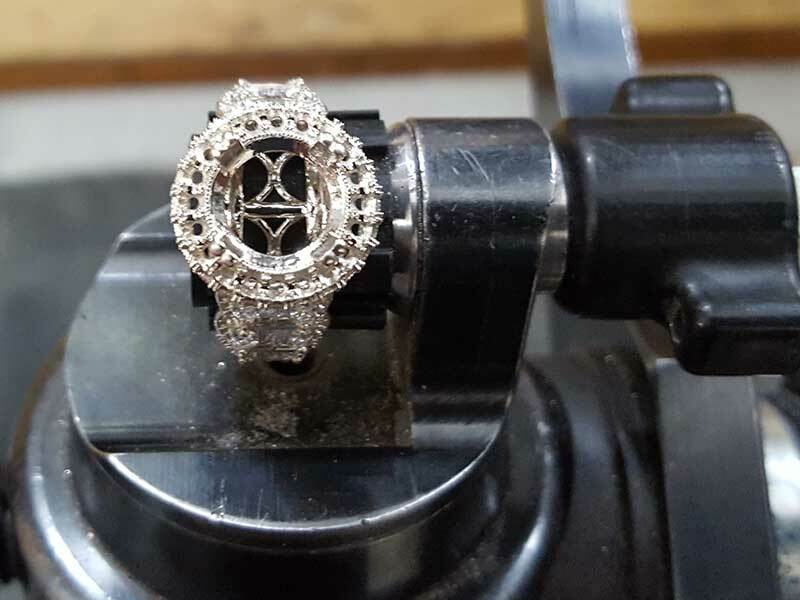 The jewelers and I are all so busy creating items for individuals, it’s fun to be able to work on a design for the design’s sake. 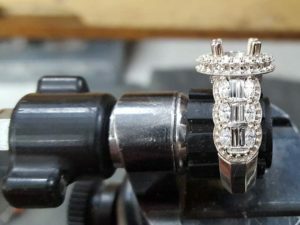 In this engagement ring setting, I love the juxtaposition of the of the step cut baguettes next to the brilliant style faceting of the marquis and round diamonds. 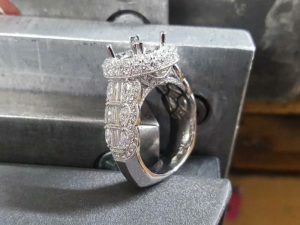 It’s not traditional to have the marquis stones in this type of design. They are unexpected. They lend themselves to a beautifully scalloped edge. Even though this project wasn’t designed for a specific person, we followed our normal process. I started the design with a sketch, then recreated it in our CAD software. The model was created on our SolidScape 3D printer. We cast it in 14K white gold and finished it with 1.3 carats of round diamonds, over ½ carat of baguettes diamonds and another ½ carat of marquis diamonds. The finish weight is close to 2.5 carats! Come see this gorgeous creation in the store. 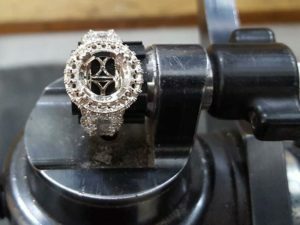 If you fall in love with it, you can finish it off with a diamond, sapphire or your favorite gemstone from our vault!